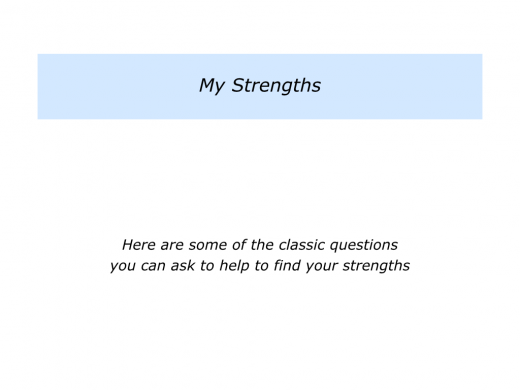 There are many ways to help such a person to clarify their strengths profile. 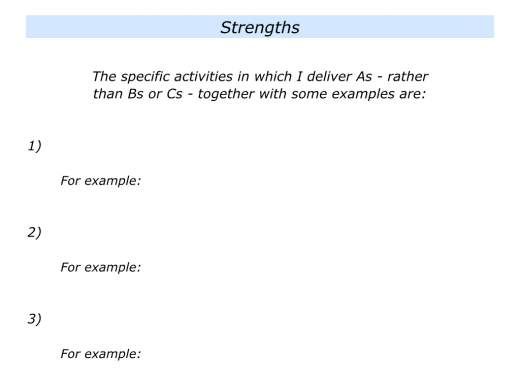 One approach is to use some of the strengths assessment tools. 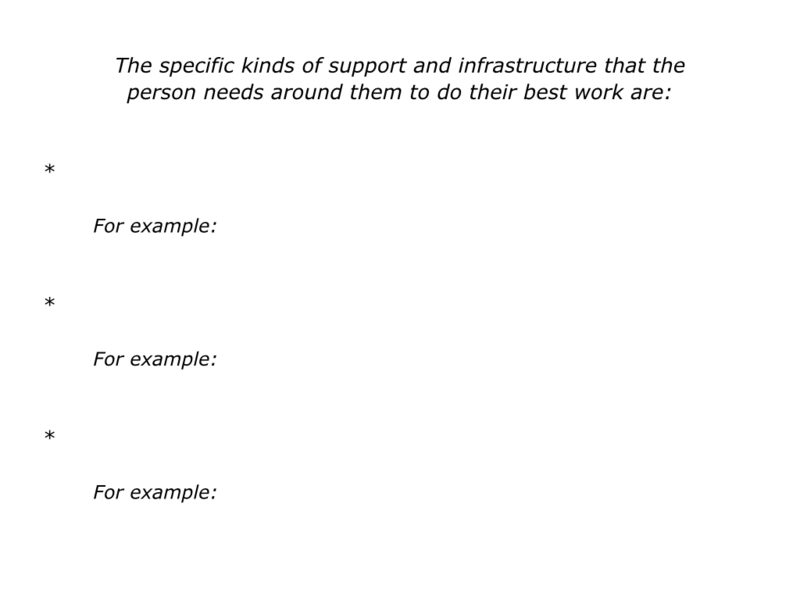 These include some of the following. 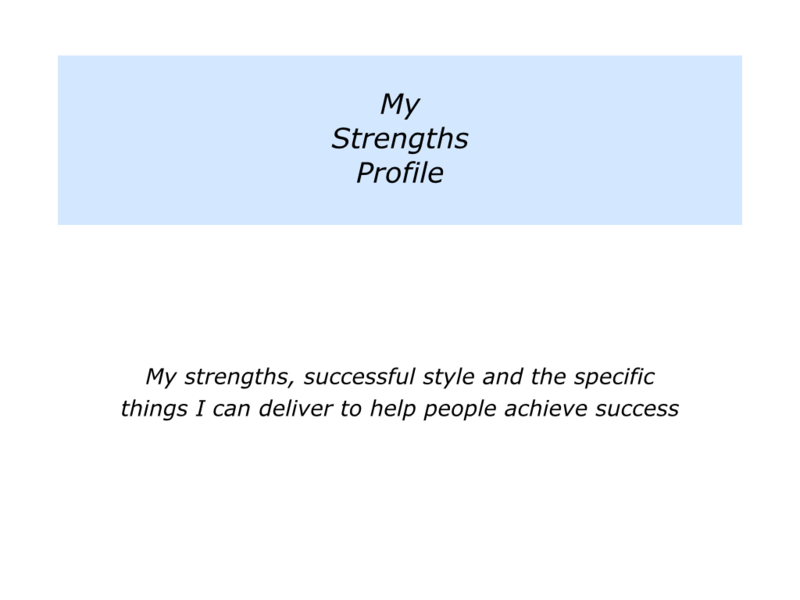 This was created by the Strengths Partnership. You can discover more via the following link. 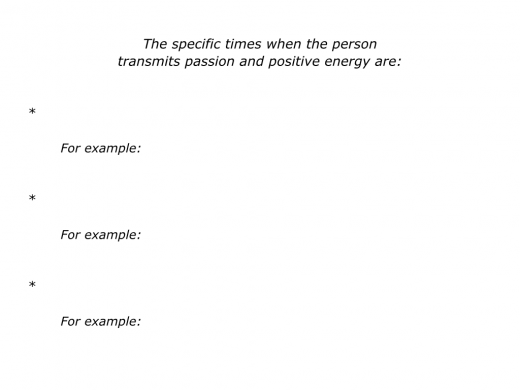 This was created by the Centre For Applied Positive Psychology. You can discover more via the following link. This was created by the Gallup Organization. You can discover more via the following link. This was created by the Marcus Buckingham Company. You can discover more via the following link. Another approach is to invite the person to explore certain themes for helping them to find their strengths. 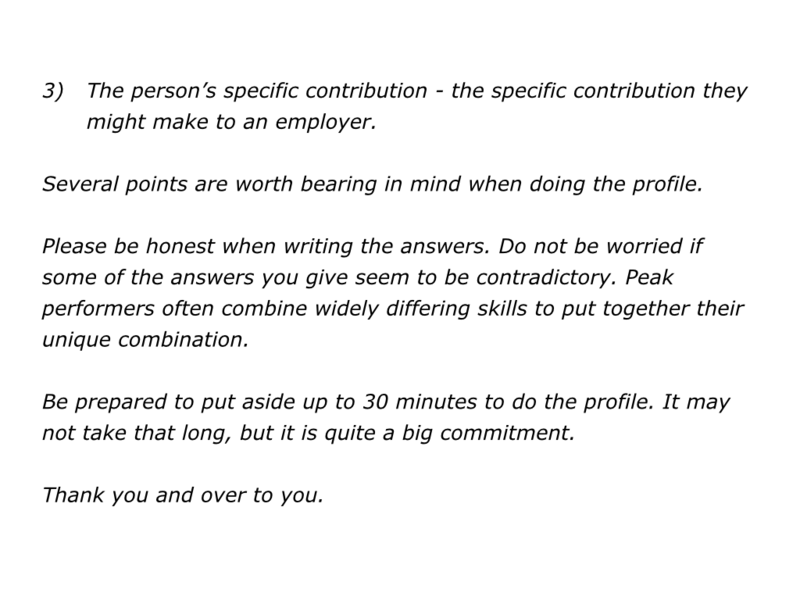 You will, of course, have your own questions for helping somebody to clarify what they do best. 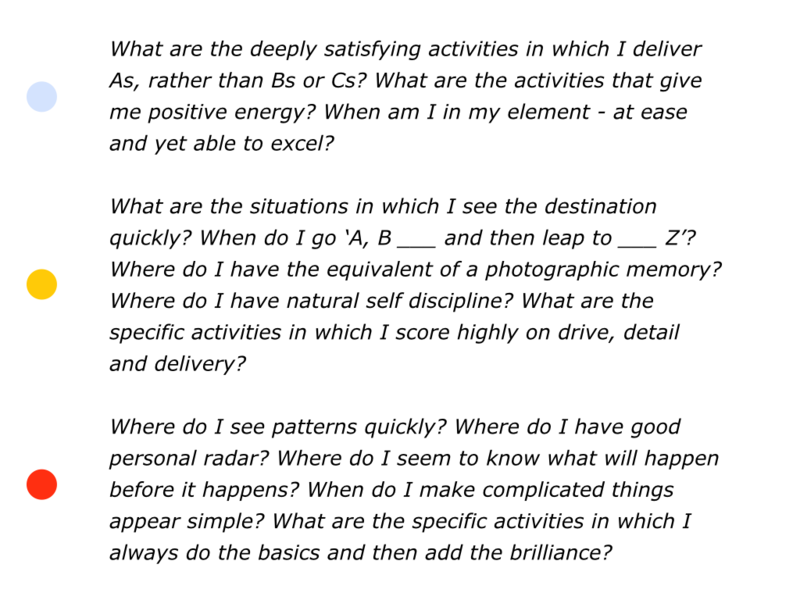 If you wish, you can invite the person to focus on the following questions. 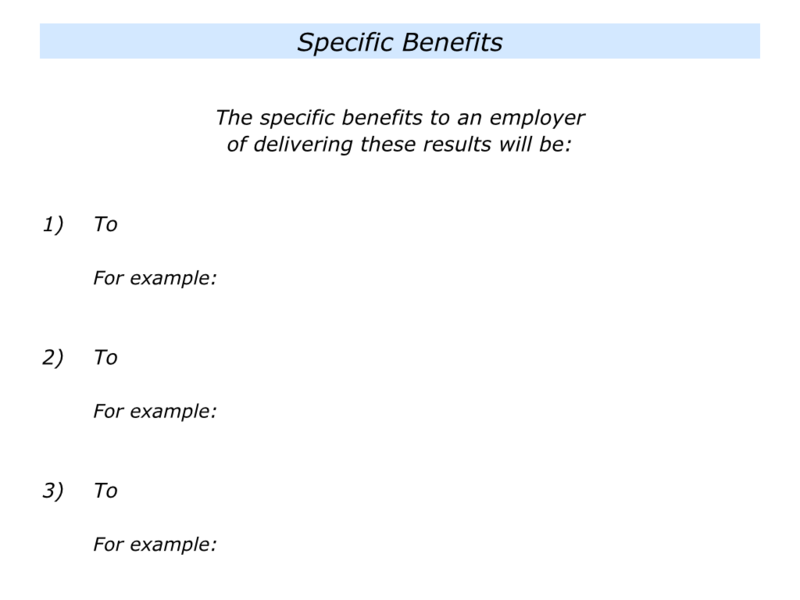 Later we will look at how they can use their answers to clarify their offering to a potential employer. 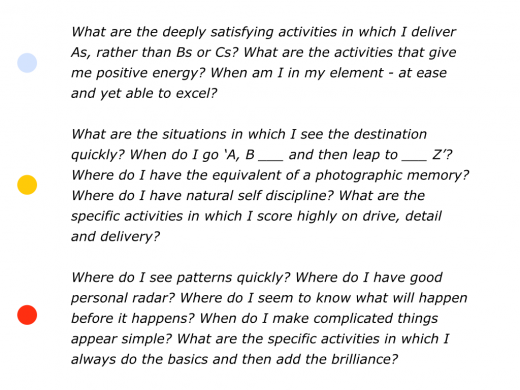 Here are the questions you can invite them to explore. 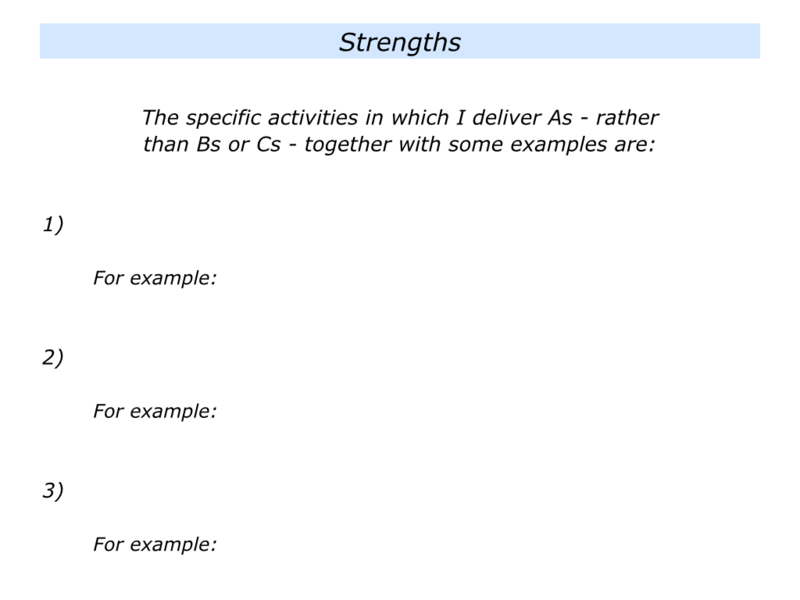 If appropriate, you can then help the person to take a first go at clarifying their strengths by completing the following exercise. 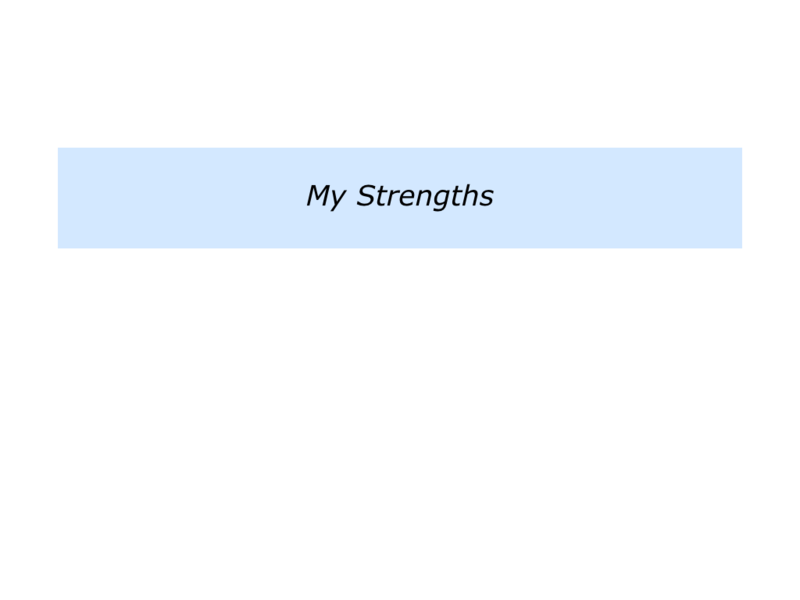 Some people like to get feedback about their strengths. 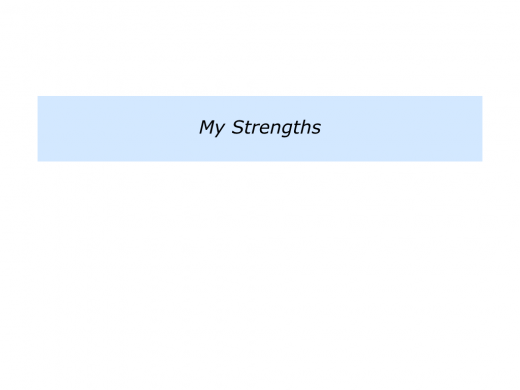 Sometimes this works well, especially if they get honest feedback from people they respect. 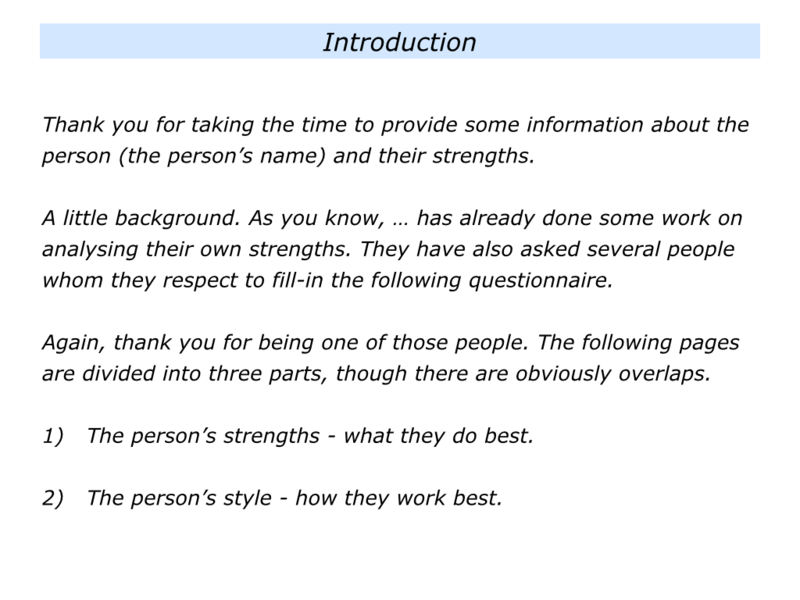 Those giving the feedback must also have an eye for being very specific about what the person does best. 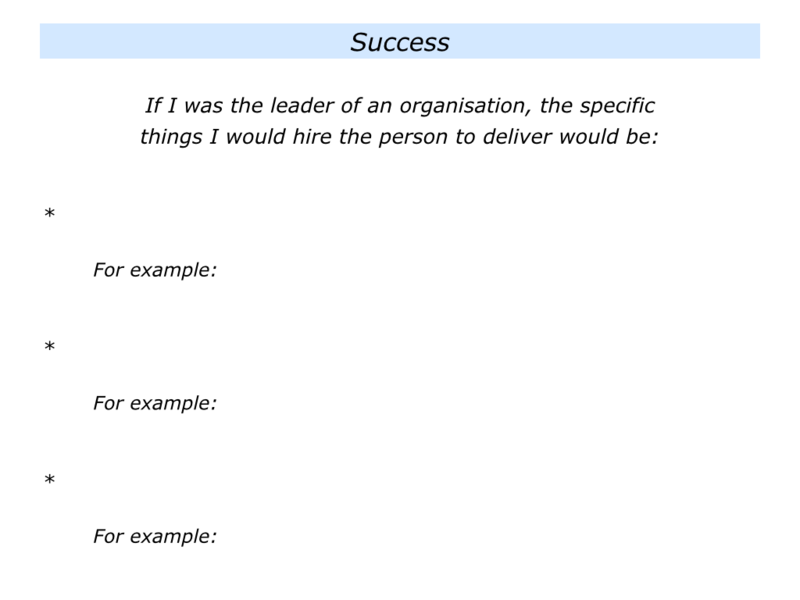 During my work with people I have invited them to use the following exercise to get feedback. This involves taking the following steps. 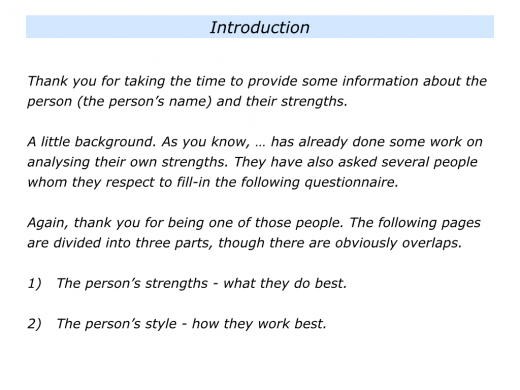 They ask three people whom they respect to give feedback on their strengths. 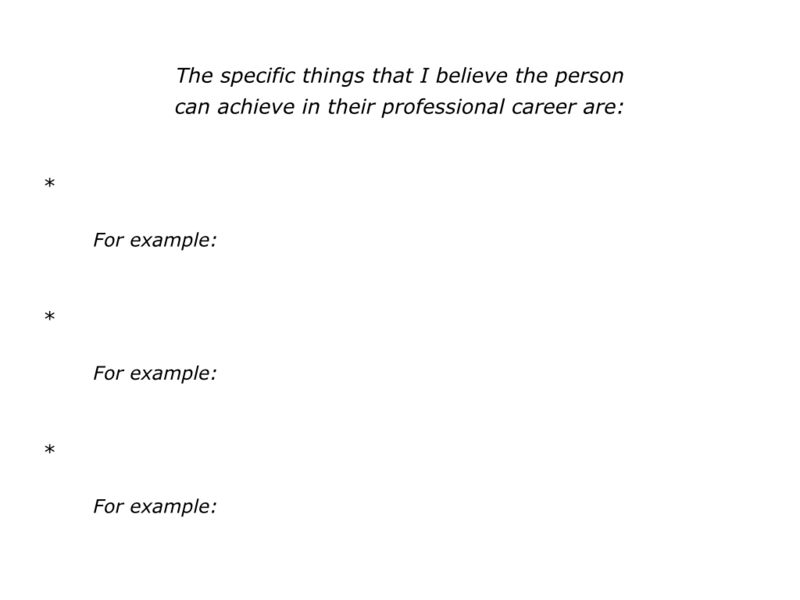 They ask the people to be positive, but also honest and realistic. 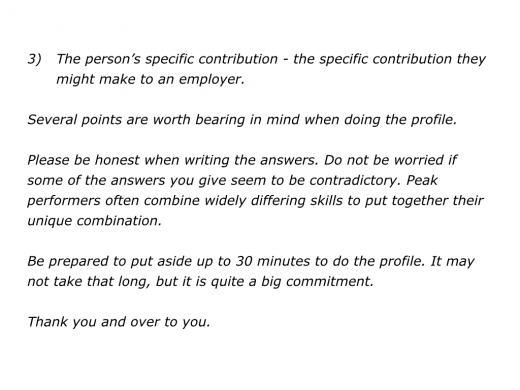 They ask people to do the following exercise, send it back to them and, if the people are willing, to be open to having a follow up conversation. Here is the exercise that is sent to people. 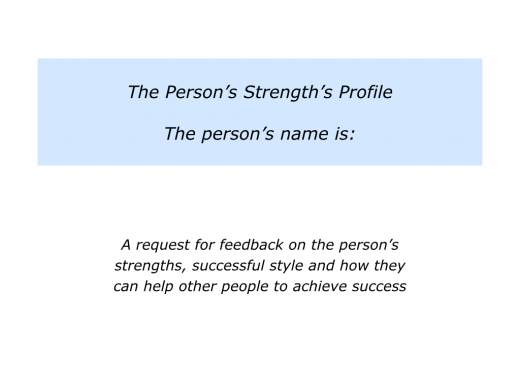 The introduction is written as if it sent from a third party who is gathering information about the person and their strengths. Imagine that the person has done the previous exercises. 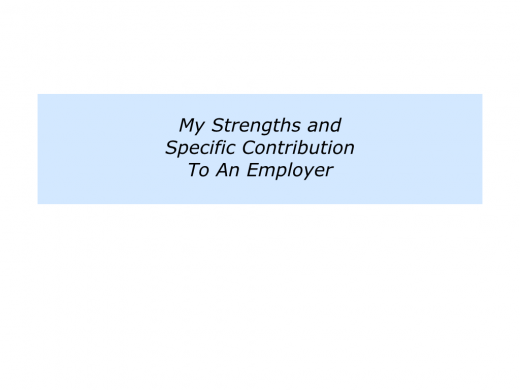 Bearing in mind the person’s strengths, you can invite them to clarify what they can offer to a potential employer. There are many tools for taking this step. 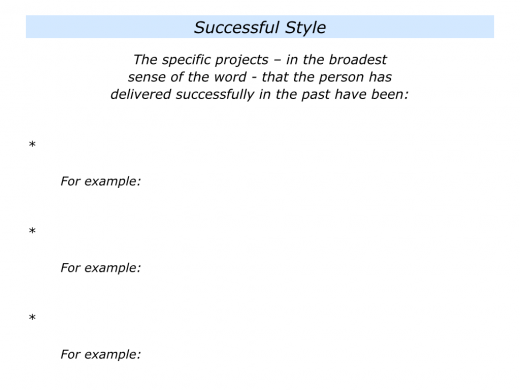 If you wish, however, you can help them to explore the following steps. 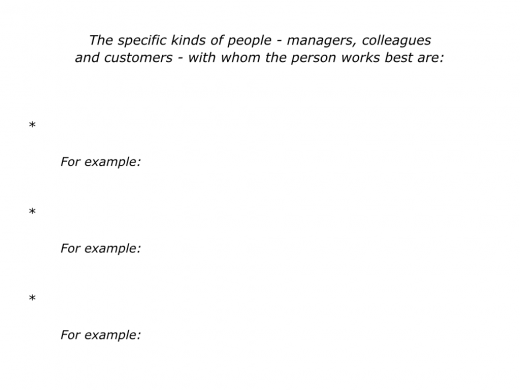 They can start by identifying the kinds of people with whom they work best. 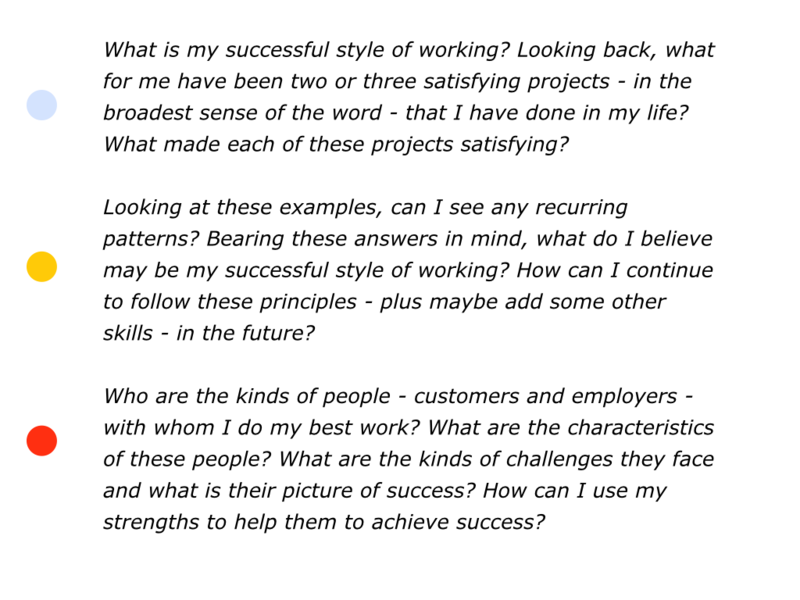 What are the characteristics of the organisations with whom they work best? 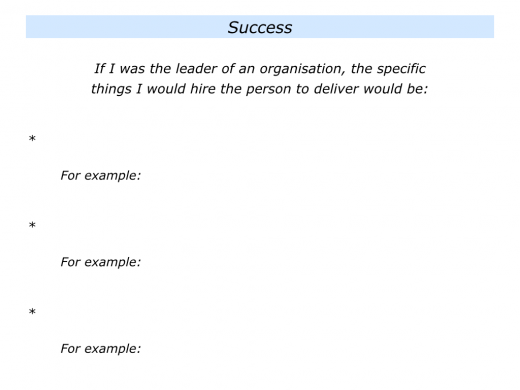 What are the characteristics of their ideal manager? What are the characteristics of their favourite customers? 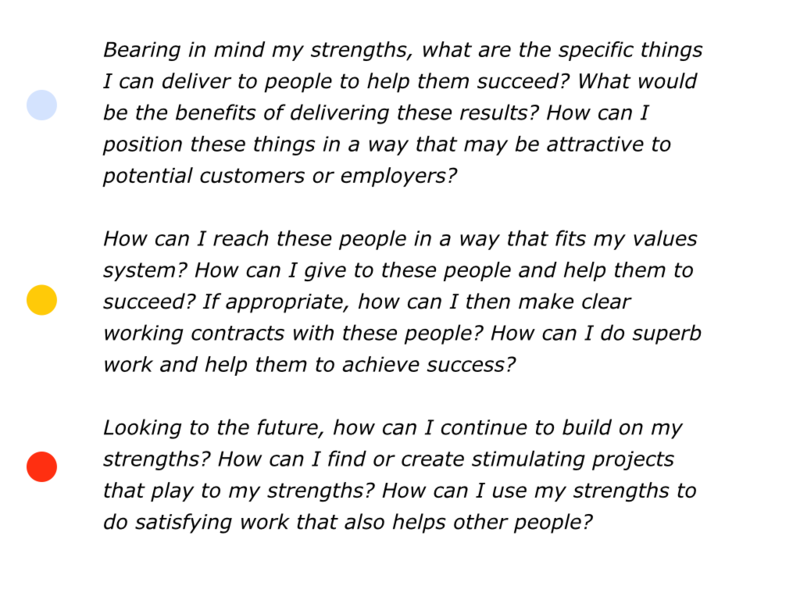 Looking at the world from their point of view, what challenges do these potential employers, managers or customers face? What are the results they must deliver? 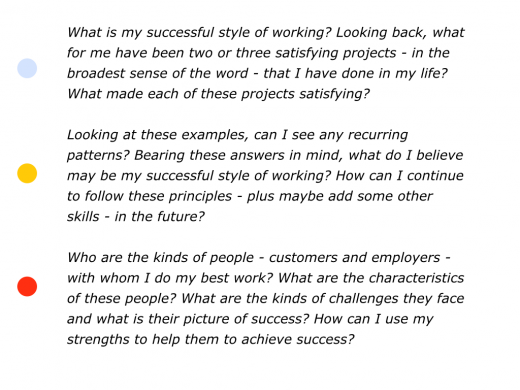 What are the kinds of things they will want from an employee or supplier to help them to succeed? 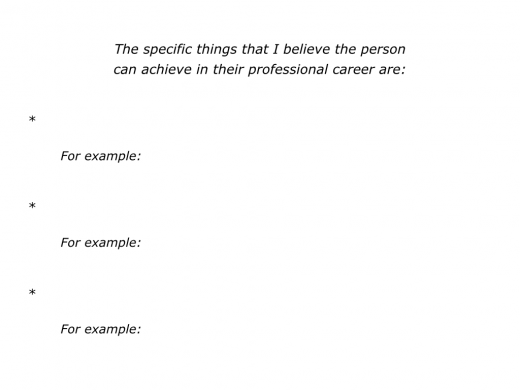 Most employers want to improve the 3 Ps. They want to improve their profits, product quality – including processes and service quality – and people. 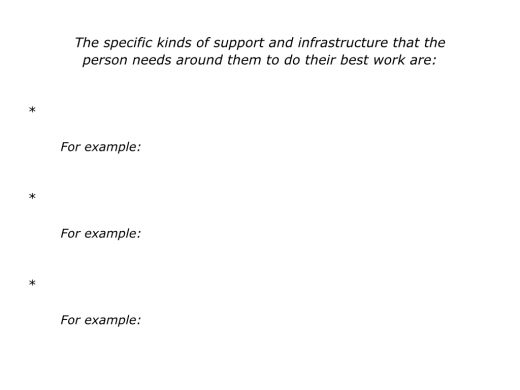 The person can help an employer, manager or customers to tackle these challenges and achieve the organisation’s goals. People buy success, not the theory of success. 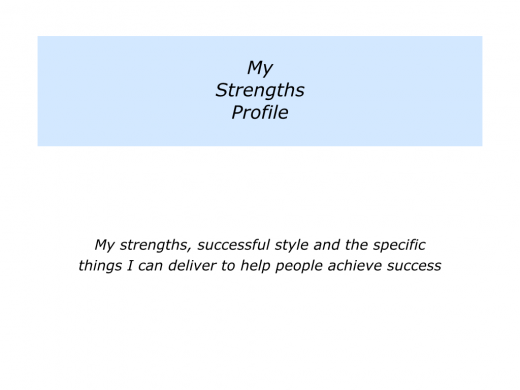 Bearing in mind their strengths, invite the person to describe the specific things they can deliver to help the potential employer, manager or customer to achieve success. 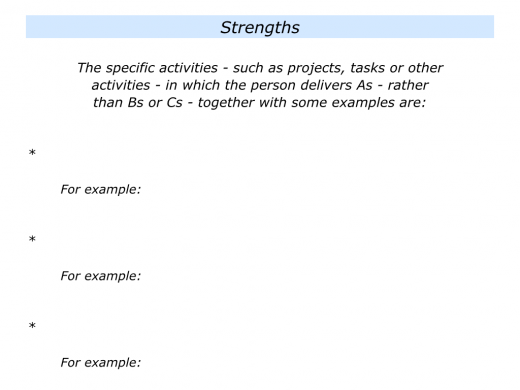 There are many ways to help a person to build their strengths profile. If appropriate, the next step may be to help them to get paid for doing what they do best. 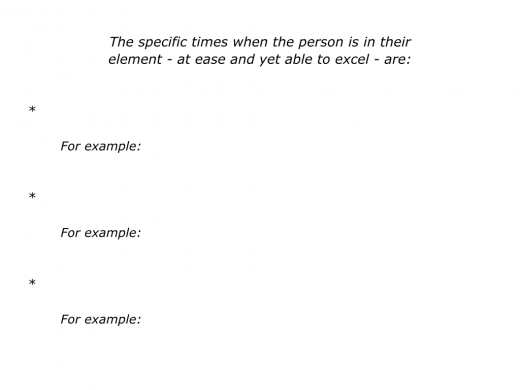 You can discover more tools for making this happen via the following link. 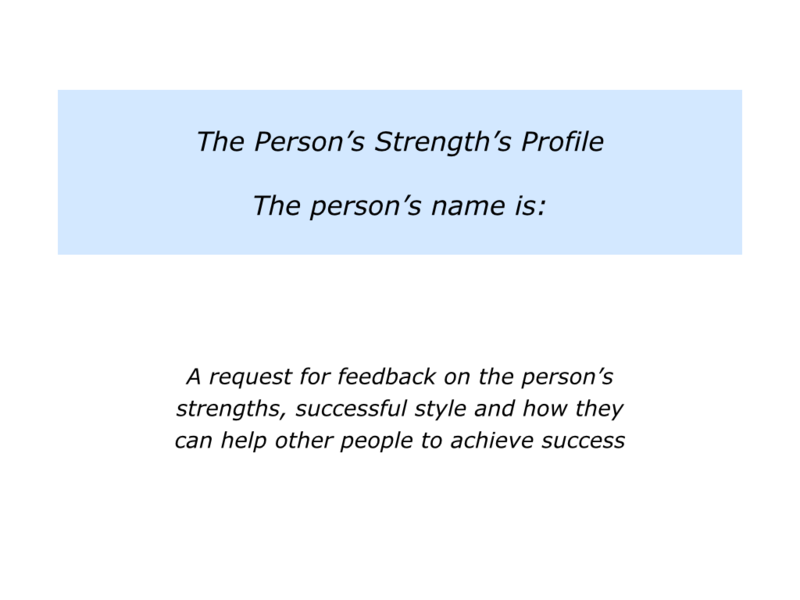 If you wish, you can invite the person to do the final exercise regarding their strengths profile. You can then help them to continue their journey towards doing satisfying work and earning a salary. 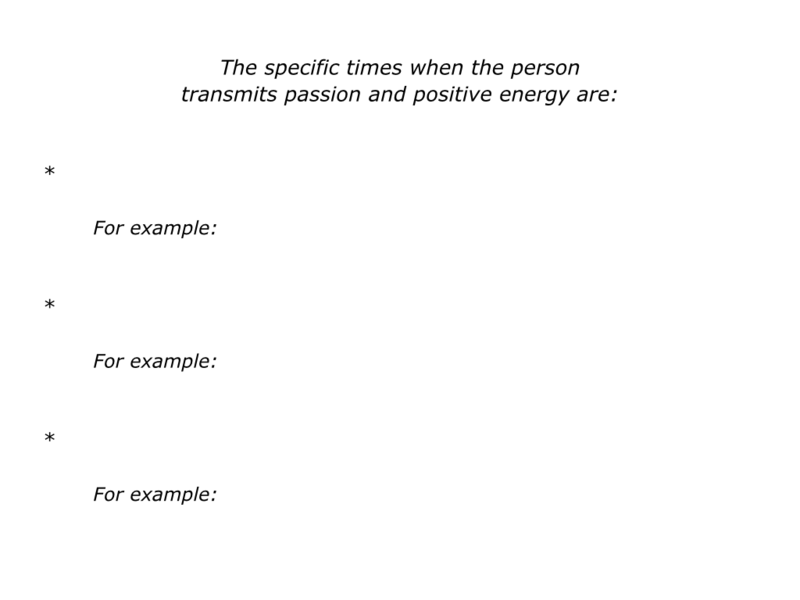 Here is the exercise.